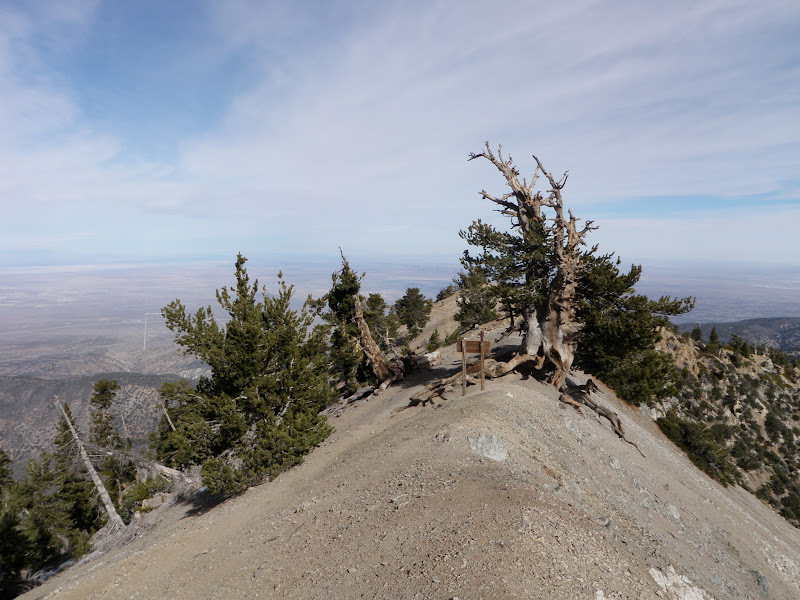 At 9,406 feet, Mount Baden-Powell is the fifth highest peak in the San Gabriel Mountains, after Mount Baldy, Pine Mountain, Dawson Peak, and Mount Harwood. 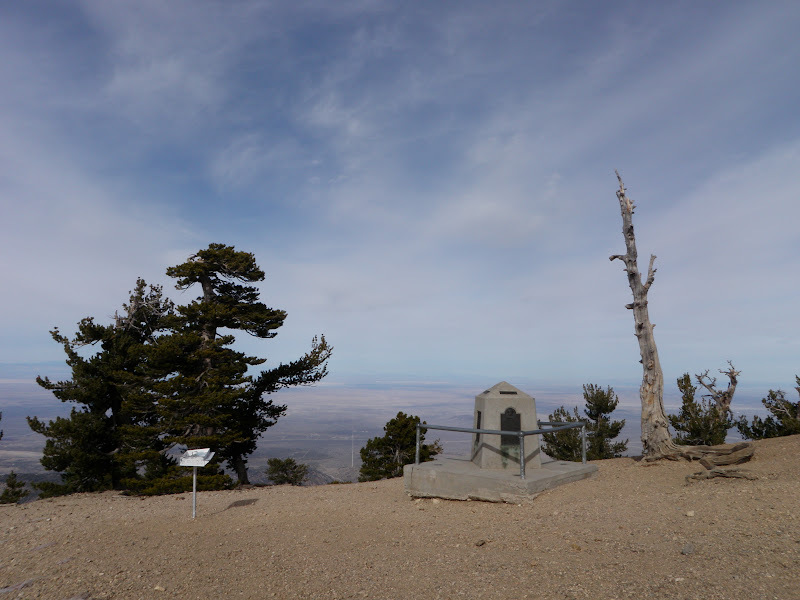 Formerly known as North Baldy, it was named after the founder of the World Scouting Movement in 1931. 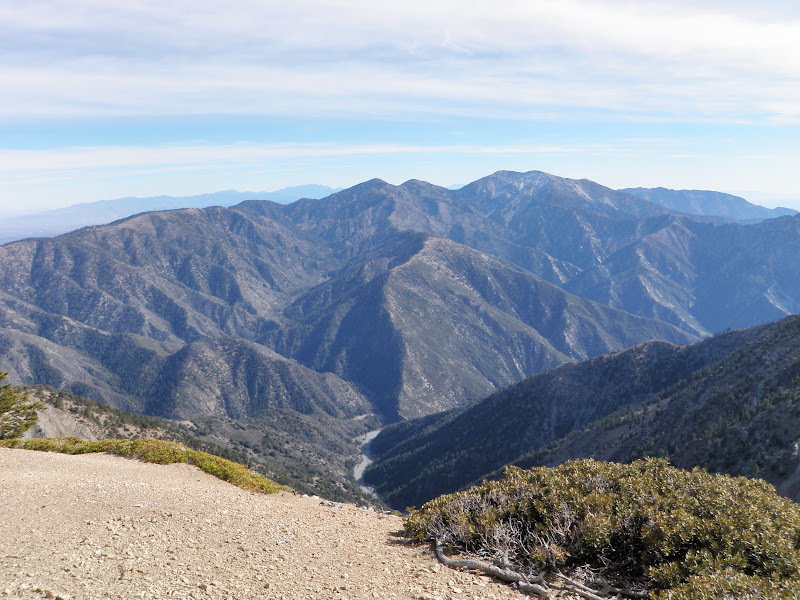 The trailhead to Mount Baden-Powell is at Vincent Gap on the Angeles Crest Highway, near Wrightwood. The Pacific Crest Trail (PCT) leads up 40 switchbacks through a pine forest to the summit ridge, its highest point south of the Sierra Nevada. 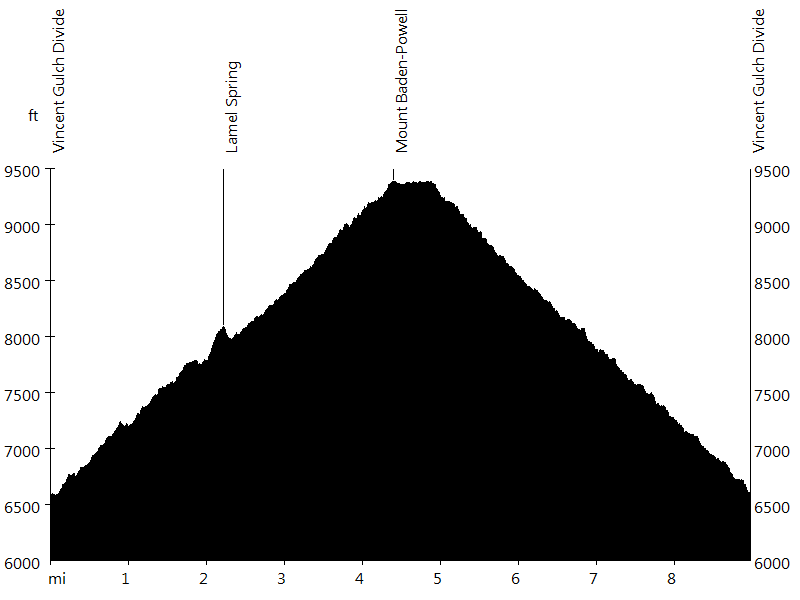 About half way up it passes Lamel Spring. 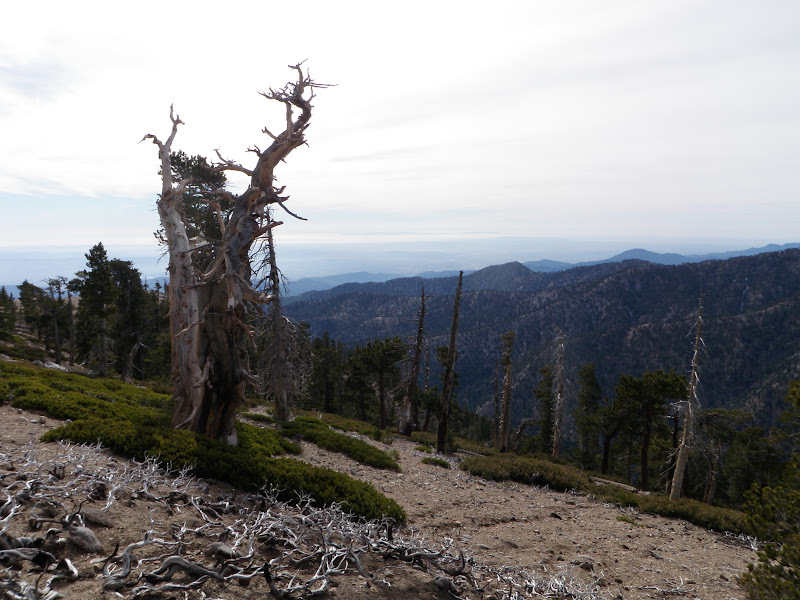 From the summit ridge it is a quarter mile to Mount Baden-Powell's summit. 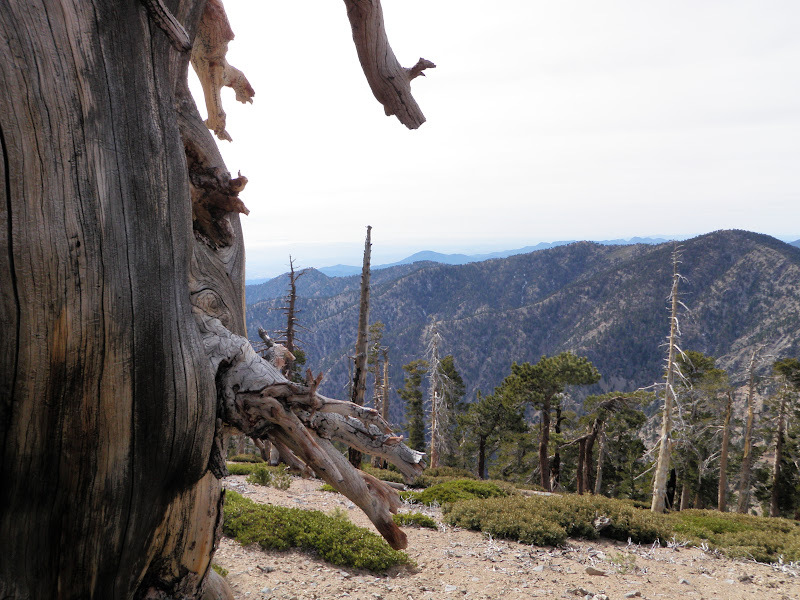 Mount Baden-Powell is a great day hike. 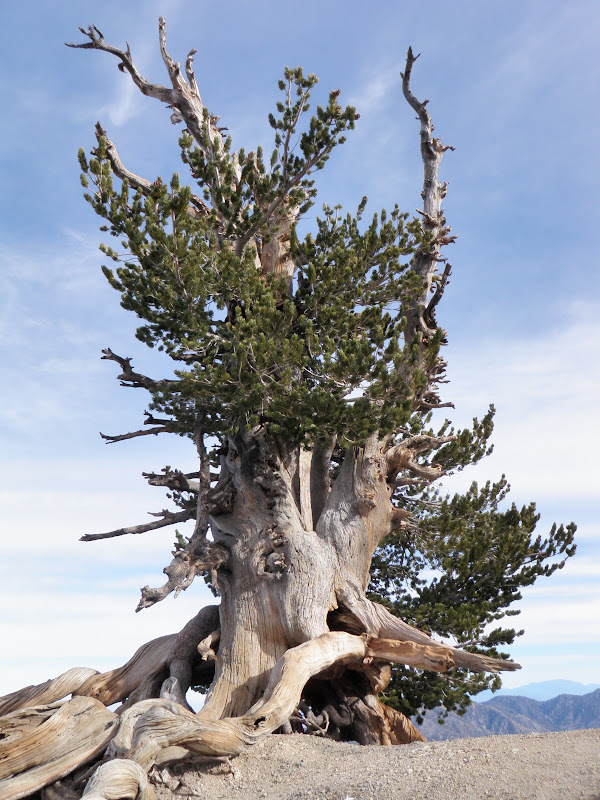 My favorite part is the 1,500 year old Waldron Tree on the summit ridge - the oldest in the San Gabriel Mountains.